It is certain that today every honest German is ashamed of his government. Who among us has any conception of the dimensions of shame that will befall us and our children when one day the veil has fallen from our eyes and the most horrible of crimes—crimes that infinitely outdistance every human measure—reach the light of day? These powerful words were the first of many written in the basement of an artist’s studio in Munich, Germany. 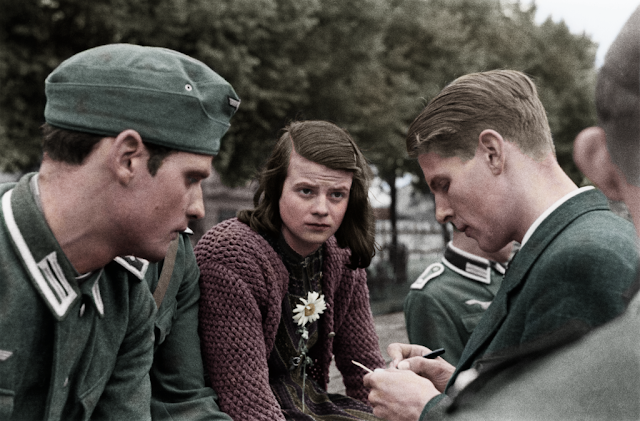 It was June, 1942 when two young men serving in the Student Medical Company at the University of Munich, Hans Scholl and Alexander Schmorell, laboriously mimeographed hundreds of anti-Nazi leaflets. They were forming a non-violent, intellectual resistance movement under the name Leaflets of The White Rose.